The Stefano Ricci Tribute to Vettriano exhibition will today launch the 10th International Short Film Festival Salento Finibus Terrae in Borgo Egnazia di Savelletri, Italy. The exhibition complements Stefano Ricci’s latest fashion collection, inspired by the paintings of the Scottish artist. 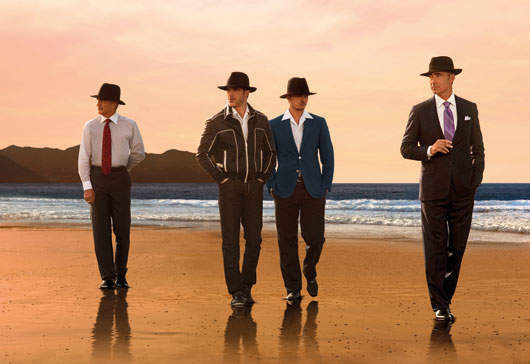 Stefano Ricci has aimed to create an elegant, dreamlike atmosphere reminiscent of Vettriano’s works. The results were well received by the artist himself when they were showcased at the Pitti Immagine Uomo fair. 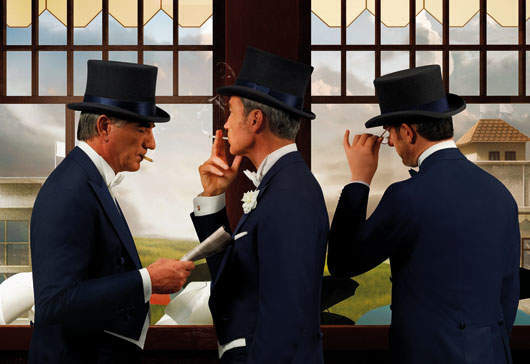 The exhibition at Salento Finibus Terrae will include a photographic reinterpretation of Vettriano’s The Singing Butler, which sold in its original form for £750,000. 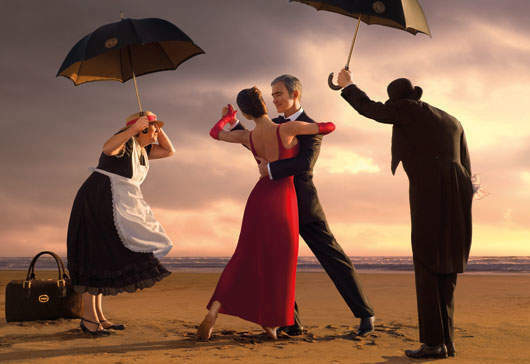 Photographer Fredi Marcarini recreated with models the scene depicted in the painting, with a man in a tuxedo and a woman in a formal dress dancing in the rain on a beach. “It is a collection told through Vettriano’s works—a tribute to his art,” said Filippo Ricci, creative director of Stefano Ricci. “It falls into a path that Stefano Ricci has been following for some time, by the publication of catalogues dedicated to the rediscovery of important artists revisited in a contemporary way. Stefano Ricci celebrated its 40th anniversary this year and has 22 mono-brand stores worldwide. The Stefano Ricci Tribute to Vettriano exhibition opens today 6pm at International Short Film Festival Salento Finibus Terrae in Borgo Egnazia di Savelletri, Brindisi Province, Italy.